We are the Instant Tax Refund specialists, famous for our Same Day Tax Refund option. But Tax Today offer a wide variety of services, so just give us a call to see how we can help with all your small business needs. From personal tax returns Bookkeeping to Multi Company Groups, Peter, Chantel and their Staff are always willing to go that extra step for you. We offer Instant Tax Refunds. That’s right, you can get your Tax Refund on the Spot. We are the Instant Tax Refund specialists, where you can get your Tax Refund on the Spot. We are the originals and the best. We can also help with all your small business needs, from bookkeeping and applying for an ABN, to doing your BAS. Your work is always prepared by a qualified & experienced professional to get you the best result: from the maximum tax refund entitlement to the best bookkeeping service where you can do as much or as little as you want to do yourself. 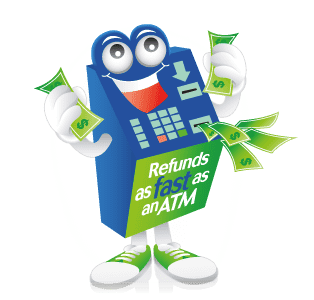 We also offer Super-Fast Online Refunds for people who can’t make it into our offices. Just complete our online form with “Logan” as your preferred branch, and we can usually advance the refund within 3-5 business days. Disclaimer: Tax Today is a registered tax agent authorized by the Australian Tax Practitioners Board. We are not a government entity nor are we a free service. Although the ATO provides do-it-yourself software at no cost, Tax Today offers the benefit of professional tax preparation and the option of receiving your tax refund faster.